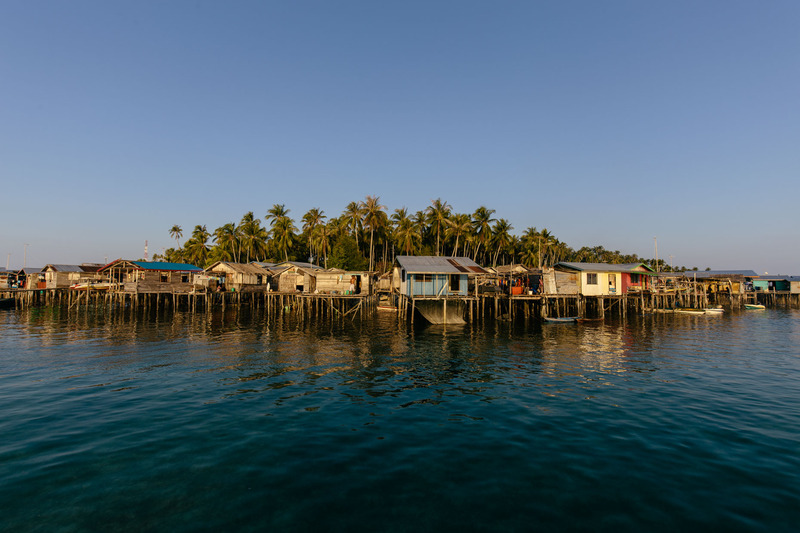 Most Bajau Laut today have moved to the islands but they are still strongly connected to the sea. They live in villages of frail stilt houses made from wood and nearby resources over the Celebes Sea. They lack many creature comforts like electricity, gas and running water. Wooden planks between the houses connect their community.